Almost all M&B MAG concrete buckets can be optionally equipped with a Pneumatic Gate Control System (PGCS) that allows the operator easy and precise control of the bucket’s gate. 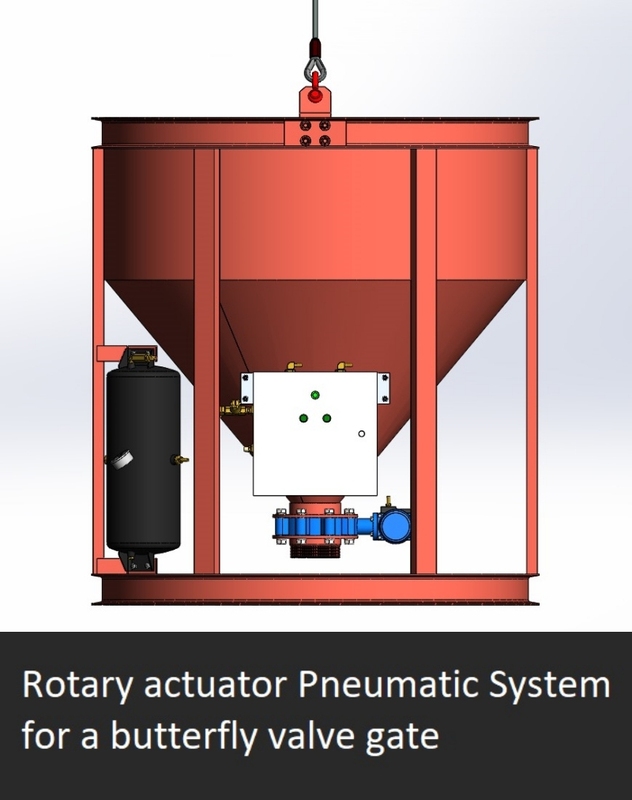 Our pneumatic systems feature a high level of customization to fit different bucket models, work applications and customers’ preferences. 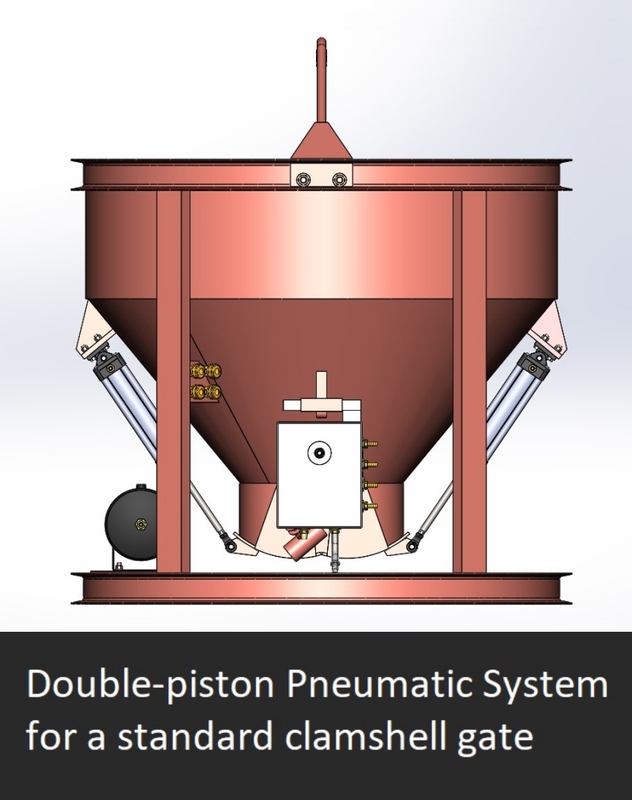 Every pneumatic system includes one or two pneumatic actuators, an air tank and operator controls. It is recommended to use 100 psi air supply to charge the system. The maximum air pressure of 150 psi must not be exceeded. The air supply may stay connected to the bucket’s system or disconnected if required. 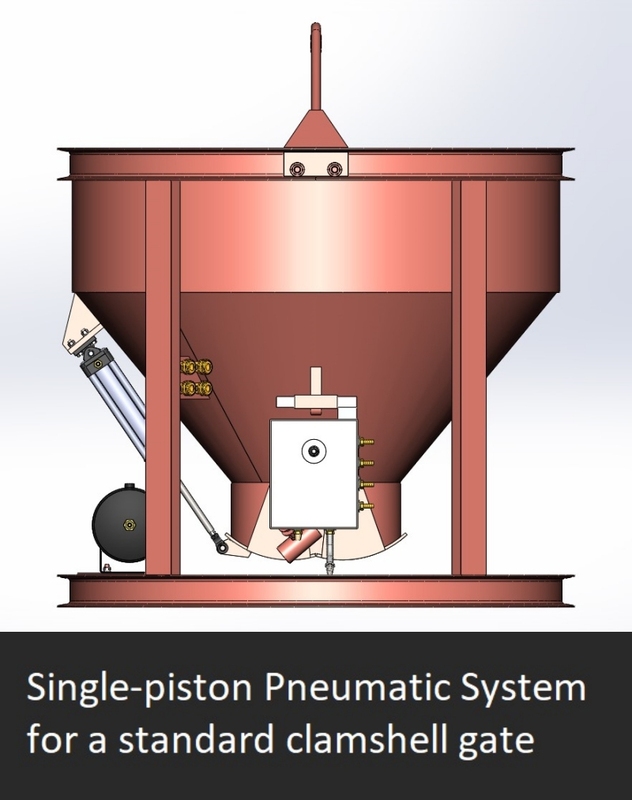 After the reserve tank is initially charged and the air supply disconnected, the pneumatic gate control system allows performing from 5 to 15 open/close cycles before it needs to be recharged again. PGCS with remote controls allow the operator to control the bucket gate from a distance for difficult or dangerous pours.